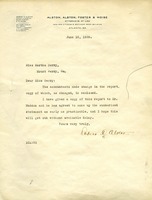 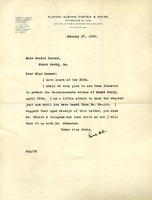 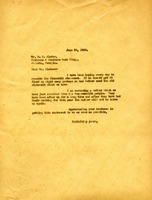 Mr. Alston writes to Martha Berry with a copy of the report of a statement. 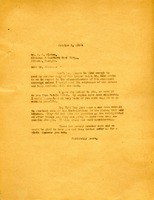 This letter is detailing a need for a financial report of the money raised from the school and Miss Berry is acknowledging that there have been multiple requests to see the amount of money made from raising money for the Berry Schools. 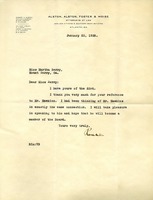 Miss Berry expresses her pleasure in having a Trustees meeting on Monday. 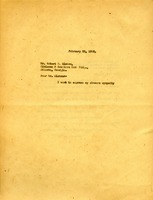 She asks Mr. Alston to get in touch with as many of the trustees as he can and encourage them to come. 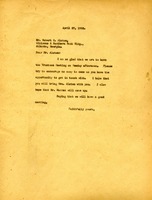 She also asks him to bring Mrs. Alston and expresses her hope that Mr. Maddox will come as well. 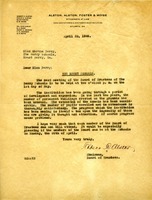 A letter from Chairman Alston, letting Martha Berry know of the time and place of the next Board of Trustees meeting. 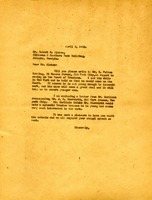 A letter from Martha Berry asking Robert C. Alston to get in contact with a couple of men who Miss Berry thinks would be good members of the Board of Trustees. 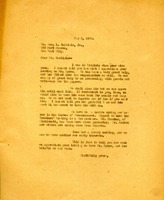 Letter from Robert C. Alston to Miss Martha Berry in response to a telegram regarding Edsel Ford visiting the schools. 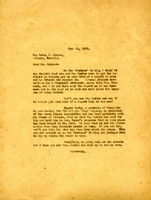 An unfinished letter to Mr. Alston. 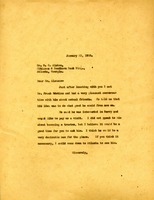 Mr. Alston writes to Martha thanking her for the reference for Mr. Hawkins and hoping he will become a member of the Board. 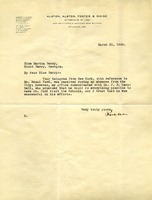 Letter to R. C. Alston from Martha Berry about asking Mr. Frank Hawkins to be a trustee after Miss Berry met him.